STIX Restaurant is located within Hotel Indigo Chelsea and is part of a family of restaurants offered by Stix Hospitality. A2 Interiors Studio sought to reflect a space that reflects the concept of Mediterranean cuisine and blending it with elements derived from its NYC context. 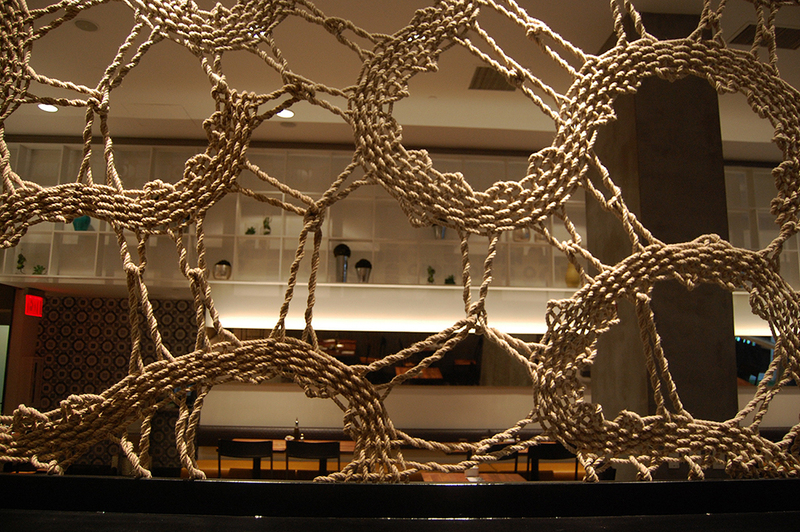 The immediate view of the lightbox from the street draws the attention of foot traffic and was designed using Stix logo elements while the intricately handwoven rope lace screens the vibrant bar area from the restaurant dining room. This created a very interesting contrast between handmade and the machine made process.